Are you looking for an economy auto with modern design and comfortable interior? Peugeot 301 2017 rental in Kiev is a perfect solution for such a problem. Diesel engine (1.6l., 92 h.p.) will amaze you with its moderate fuel consumption. Handy equipment of passengers’ and driver’s seats will not let you feel discomfort even during long-termed trips in the car. Spacious baggage compartment will easily dispose the required things, bags and suitcases. Peugeot 301 2017 rental in Kiev is available for all the owners of an effective driver’s license with more than 2-year experience. To be sure, that chosen model will be available to hire, you can book a car in advance, such a service is presented on our website. With a deposed pledge, car rent price can be decreased. Long-term Peugeot 301 2017 rental in Kiev is a real chance to cut down expenses for a car. The longer is the rental term, the less is the price for a car rental pro day. Taking into account the ergonomic characteristics of this model, you will be able to use it for not only traveling within the town, but also for viewing suburbs, making picnics, long-distance travels and trips. 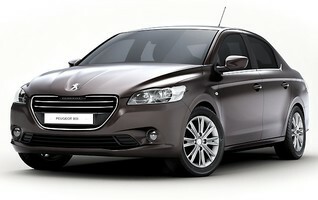 Peugeot 301 2017 rental in Kiev offered by the «Rental» company is a perfect choice in any situation. If you come for a business trip, for rest, to visit somebody or simply need a car because yours is being repaired, then car rental in Kiev can solve a problem of any complexity and with different financial abilities.